Regular Rate $1991 . Today Only $399! This 5 Star hotel is a Premium-level resort complex located overlooking the impressive waters of the Gulf of California. It's a perfect hotel for enjoying tranquility, thanks to its exclusive location 1.6 miles from San Jose, a colonial town famous for its cultural atmosphere and restaurants. The hotel has 350 luxurious rooms, all of which have a private balcony and are fully equipped with first class conveniences to guarantee a memorable stay. 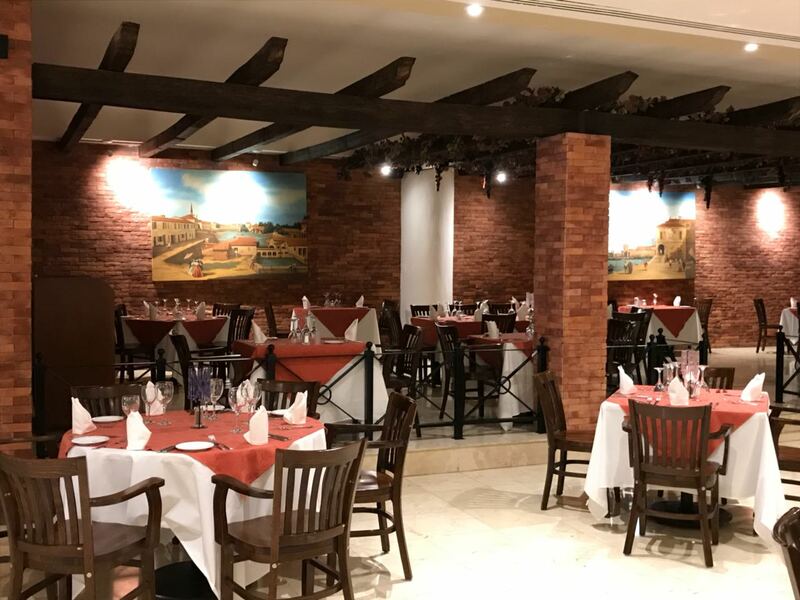 The hotel is home to 5 restaurants and 3 bars, including an extraordinary selection of international dishes as part of its All Inclusive program. The complex features a full range of facilities including a Convention Center that can host all kinds of events, a wonderful, fully equipped spa, as well as a program of activities and excursions. The youngest guests will find a complete program of activities waiting for them at the Kids Club. The hotel also has a heated children's pool, games room and an excellent program of daily activities. Enjoy A Wonderful World Class Spa, Where You Can Enjoy A Variety Of Treatments, Including A Specialty Marine-Based Treatment. Hotel Features 5 Restaurants And 3 Bars With An Extensive Culinary Variety. Great people and shows! Best hotel in Cabo! I enjoyed the shows in the evening and the entertainment was great. The rooms were very clean and they had great service. During the day they had great activities and fun games! Superior Sea View rooms are magnificent spaces measuring 495 ft², ideal for families and romantic stays offering guests beautiful panoramic views of the Sea of Cortez. These spacious, bright rooms are decorated in cheerful colors and feature contemporary furniture. They have a fully equipped, separate bathroom. These rooms feature a wide range of quality conveniences and facilities to fill your stay with pleasant sensations. 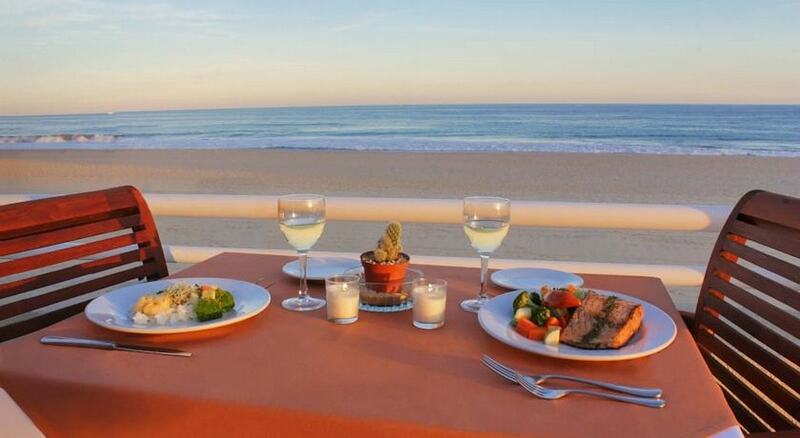 The Barcelo Grand Faro Los Cabos hotel has 5 restaurants and 3 bars that serve a wide variety of food options. Enjoy an extraordinary selection of international, Mexican and Italian dishes. Serves breakfast and lunch with a Mexican flavor. Start the day with a complete breakfast with fruit juice and hot sweet bread. Then, don't miss the light salads and tacos prepared to your taste. Enjoy the experience of a stimulating outdoors dinner with delicious seafood and impressive views of the Sea of Cortes. Daily buffet of international specialties. Enjoy themes dinners prepared each night: one of the best options for families and informal occasions. 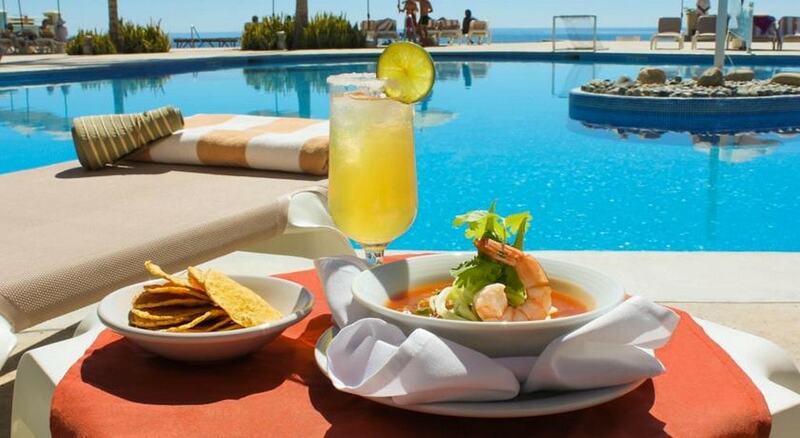 If you'd like to discover the authentic essence of Mexican cuisine, you can't miss the Las Jicamas Restaurant. The staff will help you choose the best dishes from our gourmet menu of Mexican fusion specialties. Take the chance to visit our bar and enjoy a large selection of margarita cocktails. Offers the chance to taste Italian food from the Baja California region. Our magnificent chefs prepare the best Mediterranean recipes with the freshest ingredients. Discover the flavor of the pasta, meat and fish dishes with the aroma of sage, basil and olive oil. Our staff will serve you in the restaurant and terrace. La Isla opens every day in order to satisfy your cravings while you spend the day at the beach. The grill is always ready to make hamburgers, recently made nachos with guacamole and fresh, marinated white fish ceviche with lemon. Quench your thirst with an ice-cold beer or one of our specialty cocktails made with fresh tropical fruit. The Acuario Lobby Bar is the perfect spot to relax with friends after eating, with its pool tables and a stage with live music. 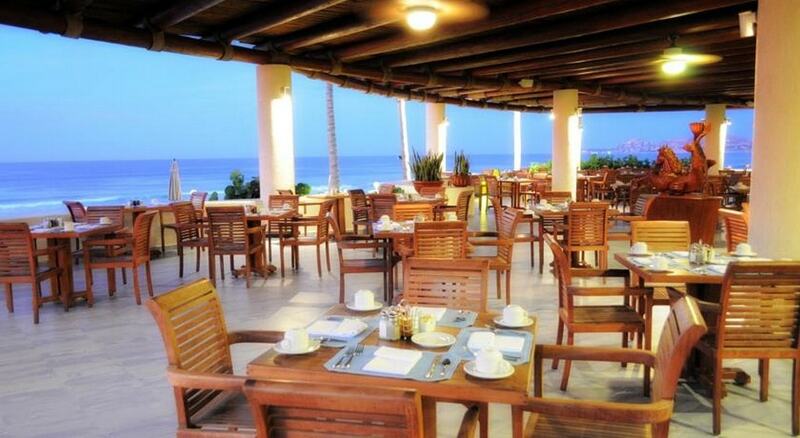 The bar has spectacular panoramic views of the Sea of Cortes. 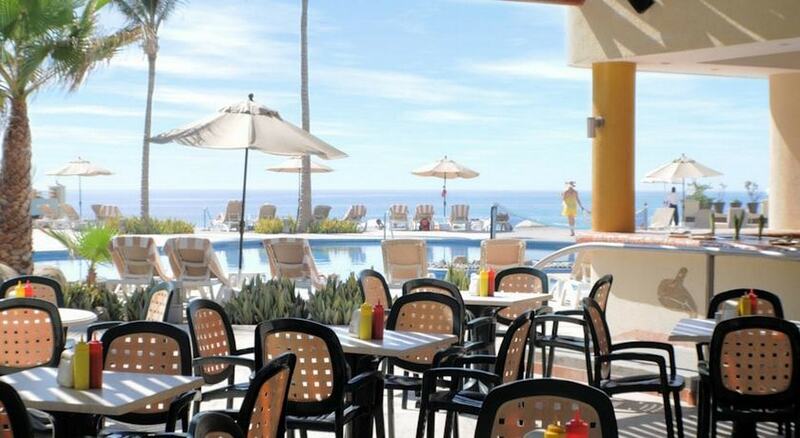 The Sky Sports Bar offers spectacular panoramic views of San Jose del Cabo. Located on the top floor of the El Faro building, it features TV screens so you can watch your favorite sports broadcasts while waiters serve your favorite drink or a cocktail from the special Martini menu. The Sky Sports Bar is included in the All Inclusive package and has extended opening hours. You must be over 18 years of age to enter the Sky Bar. The only sushi bar in the San Jose del Cabo area offers an exquisite menu and cocktails. Located on the top floor of the El Faro building. Good food. Good cocktails. We definitely had a great time will be back. If you want be a VIP you need to book BookVIP! Spent four days in Los Cabos with my kids and their significant others for an early Christmas present to all. Loved the people, pool, weather and food. Would definitely go again! Next time we will be a little suspect of any discounted deals for excursions and housekeeping request take a little too long. Otherwise not a bad trip! Great people and shows! Best hotel in Cabo! I enjoyed the shows in the evening and the entertainment was great. The rooms were very clean and they had great service. During the day they had great activities and fun games! Special shout out to Ricardo, Danny, and Ximena! "A Fun Place for People of All Ages"
I arrived yesterday with my brother, sister, cousin, and the rest of my family. We have done many activities already. We swam in the many large pools, played volleyball on the beach (and won! ), and played bingo. The entertainment staff is great especially Ximena, Danny, Ricardo, Oscar, and Rodrigo. What a way to get away! This is such a lovely getaway. Fun activities throughout the day and ways to just get the stress out. The food is great. Ricardo was a great dance leader ( let get have dance classes). Just fun and relaxing ! I'm having fun with several activities for all ages. The shows are worth watching and the drinks are great. I don't often recommend thing but I recommend this hotel. Ricardo is the best and he knows how to break dance bringing me back to my good old 80s days. "Excellent value and exceptional customer service!" Hello friends, my family usually takes several trips throughout the year. This year we decided to take a trip to our favorite spot for Christmas, Barcelo @ Cabo San Lucas. We have been here three times before and we enjoy it even more every single time. The staff is attentive to our every whim, the food is fresh, healthy and delicious. This year, several things stood out. The entertainment staff led by Rodrigo, Danny and Ximena were fun, engaging and treated us like family. Irene, one of their on staff chefs, spent the time to teach me how to make fresh ceviche. her attention to detail and quality is incredible. Pool Staff like Ruben made sure I had a delish drink on hand to help me relax. This is customer service at its best. LOVE THIS PLACE. They made this Christmas for my family unforgettable. I highly recommend this place to anyone looking for a fantastic time away. The service is good, beautiful beach and waves, I am drinking a mojito of cucumber The view of the sky bar was awesome and Jesus the barman give to us a special drink that was very Good. Also there is a cafe martini. The animation staff are great, the do activities for us all day . I'm really enjoying my staying here . We stayed for two weeks at Barcelo Gran Faro with our two kids, 4.5 year old and 15 months. The first week was quiet as it was early December and in the second more people arrived. Our room had a wonderful view of the pools and ocean. We liked the kids club where Virginia and Ximena took excellent care of our children. We liked the food, both in the buffet and in Gondola (Italian) and Jicamas (Mexican) restaurants. I was surprised that in two weeks I didn't get bored with the food. The evening entertainment starts at 8pm or 9pm. 9pm was too late for us but at 8pm we loved the live Latin show (i.e. Salsa band), the band for the Sunday party on the beach and the karaoke. We used thrifty to rent a car to go to Cabo San Lucas and Todos Santos. Really enjoyed the Art walk in downtown San Jose del Cabo. The staff was impressively nice at this hotel. We would stay here again. Ricardo was awesome! Very friendly, great personality, and provided fun entertainment during our stay. We met him our first day here and he remembered and called us by name the whole week. He made us feel like valued customers & is one of the many reasons we will come back here! We arrived yesterday in the afternoon, we spent sometime at the pool and Suzanne drank one shot of tequila and Javi danced to the live salsa music show The animation staff are great! We met Ximena and Danny at the lobby, and tomorrow we are going to play volleyball with them . The hotel was amazing and the stay was amazing, but what made it amazing were the people:) The guys Danny and Ricardo are the best people ever and made it so much fun! The people at restaurants are also very nice and sweet. Danny is very sweet and adorable and told me so much about Mexico and Ricardo was just dancing in the corner i absolutely loved it and I am very sad i had to leave:( I will defenitely come back and promise to learn Spanish I will see you soon guys, love you ❤ loved the hotel , definitely recommend it with all thr activities, shows, food and the city itself. "Awesome experience in a gorgeous place!" Great times at Barcelo . Our stay was very pleasant and enjoyable. This resort is beautiful, friendly staff, good food and nice entertainment. Danny and Ricardo are the best . We would definitely come back to Los Cabos. Activities coordinators ximena, DJ oz, Danny, Richie, jafet are great. The food is great, great pool! All of the workers are very friendly, and say hello every morning. Great choices of different food throughout the hotel. "Beautiful Resort made for Excellent Vacation"
We stayed seven nights at this very nice resort. The room was sizable, clean and comfortable as were the facilities. The resort is located in the quieter San Jose del Cabo while being only a quick 25 minute drive from the livelier Cabo San Lucas. The food was quite good and we recommend upgrading to the premium club fore its easier and more frequent access to the ala carte restaurants. The service was quite good but most of the staff spoke little or no English, which doesn't seem logical for a resort catering to Americans and Canadians. This was probably a management decision to save costs as was the limitation to three towels despite our frequent requests for more. If you're looking for nice jewelry go find Alfredo! He stands right on the beach by RIU palace's Beach Club and you can spot him by his white gloves. He was extremely friendly and very helpful in helping me pick out a last minute Christmas gift for my mother--real silver and turquoise! I would highly recommend buying from him! Regular Rate $ 1991 . Today Only $399!